Temple Law Review » TLR Congratulates Vol. 89 Editorial Board Members Emily Kimmelman and Sam Lapin! 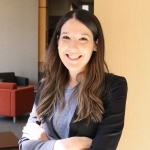 Emily has been designated by the American College of Bankruptcy (ACB) as the 2017 Distinguished Bankruptcy Law Student for the Third Circuit. She was nominated on the strength of her recently published Comment on the student loan discharge exception. As the Third Circuit Distinguished Law Student, she will attend ACB’s annual conference in Washington, D.C. this March. More about Emily and her awesome achievement can be found here. 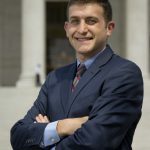 Sam has been named runner-up in the prestigious Tannenwald Writing Competition sponsored by the Theodore Tannenwald, Jr. Foundation for Excellence in Tax Scholarship and The American College of Tax Counsel. His submission, Finding Propaganda: How to Stop Grassroots Lobbying Costs from Slipping through the Cracks of Section 162(e), examined the common business practice of deducting lobbying costs from taxable income. He is the first Temple student to place in the national competition. More about Sam and his paper can be found here.